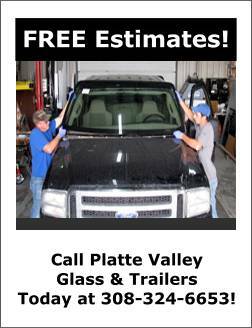 Platte Valley Glass & Trailers of Lexington, NE is conveniently located across the street from Dawson Country Fairgrounds. We provide excellent service for your glass needs. We service commercial, residential and agricultural with 24 hour emergency service and free estimates. Family owned in Lexington, NE. since 1981.